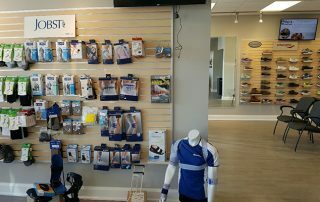 Elio’s team of experts are bracing Niagara with custom and off-the-shelf solutions for knee, foot, ankle, leg and back problems. Elio’s utilizes a proven bracing system to help alleviate pain and treat health problems for patients. Contact Elio’s today to learn how custom or off-the-shelf bracing options can help to turn your pain into comfort. Prophylactic braces are used primarily by athletes participating in contact sports. Evidence about prophylactic knee braces ( the type football lineman wear) are often rigid with a knee hinge, which indicates the bracing could be ineffective in reducing anterior cruciate ligament tears, but may be helpful in resisting medial and lateral collateral ligament tears. 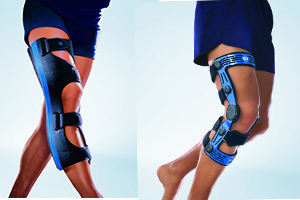 Functional braces are designed for use by people who have already experienced a knee injury and need support to recover. 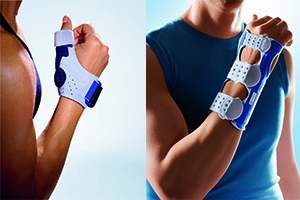 Functional braces help people who are suffering from pain associated with arthritis. 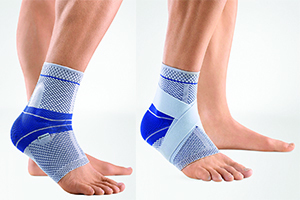 Functional braces are intended to reduce the rotation of the knee and support stability. This type of bracing reduces hyperextension, and increases the agility and strength of the knee. Most forms of functional braces are made of elastic. Known to be the least expensive of all braces, functional braces are easily found in a variety of sizes. Rehabilitation braces are used to limit the movement of the knee in both medial and lateral directions. Typically, rehabilitation braces often have an adjustable range of motion stop potential for limiting flexion and extension following ACL reconstruction. Rehabilitation braces are primarily used after injury or surgery to immobilize the leg. Due to their function, rehabilitation braces are larger in size than other types of braces. Custom bracing at Elio’s features Bauerfeind medical aids to help people regain their mobility. Elio’s Custom Bracing is available for foot, ankle, knee, hip, thigh, elbow, wrist, hand, shoulder, or back. If pain is causing problems in the knees, back, hands, elbows or shoulders, Elio’s experts can develop solutions designed to restore mobility and improve performance. Knee braces are used for a wide variety of problems and conditions. Where should I obtain a knee brace? For most effective support, knee braces are not simple knee sleeves or products sold at retail stores. Custom knee braces must be special ordered and prescribed by your physician.